DM You Should Know All types CNC and machined parts, we can make small qty and big qty with different type raw material * Competitive Price For Machined parts and CNC parts. * Quality inspection report and Guarantee. * Delivery Schdule Provide * Free Sample For Certain Project. * MOQ for 1 piece and many types we can provide * Reply within 24 hours We offer turning, milling, drilling, tapping, boring, and grinding,stamping,welding,tubing, metal fabrication,etc with a variety of materials.We can design and make precision parts according to customers' samples, drawing and AutoCAD or Pro/E file. DM provides CNC machining service for more than 10 years. Our trained staffs have extensive experience in quick prototype machining and precision machining. These valuable experience prove that we able to quick response to your needs of making the precision parts. DM is able to provide valuable engineering service. 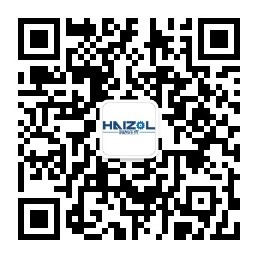 Our big difference and advantage with other factory is our in-house and out-house QC control process, We have build two QC departments, which have in-house for production quality control, meanwhile, we have out-house QC team to confirm if parts can be qualified and send to our customer, which can make sure all parts out of DM is you need, this is very important for our customers. Our goal is to provide one-stop machining services to our customers and establish long term business partner relationship.